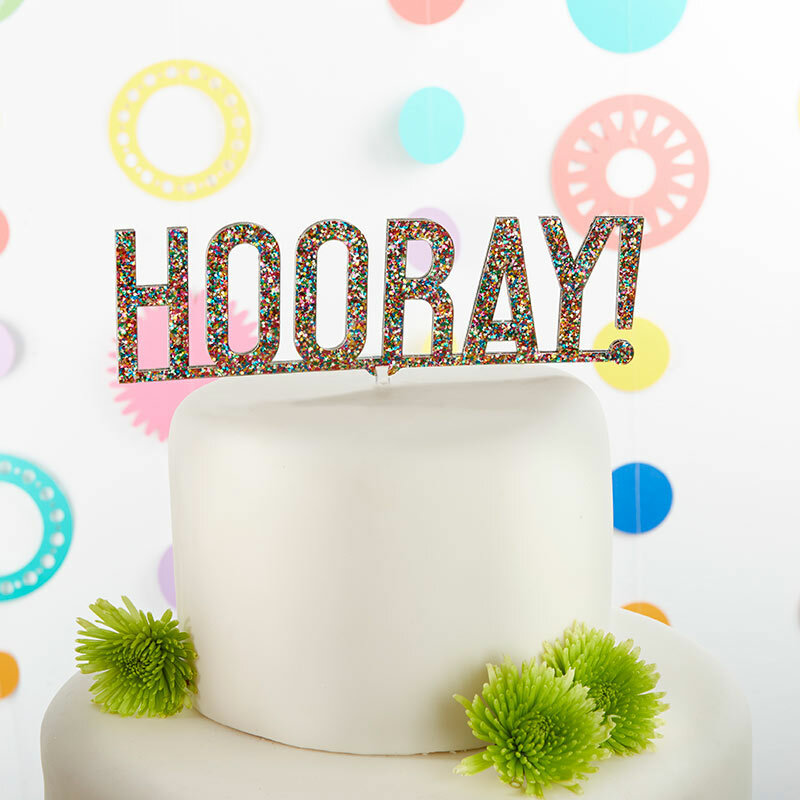 Multicolored glitter turns any cake into a party cake with our Hooray Multicolor Glitter Acrylic Cake Topper! 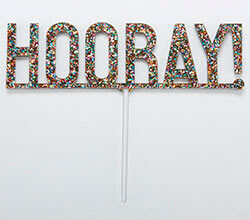 Cut from acrylic and spelling out ""Hooray!"" this cake topper sparkles in all shades with multicolored glitter covering the entire piece. 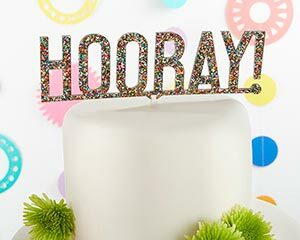 Attached to the Hooray Multicolor Glitter Acrylic Cake Topper is a clear acrylic stem to make easy work of attaching the topper to your cake! Acrylic cake topper with ""Hooray!"" written out in a block letter font and covered in multicolored glitter.